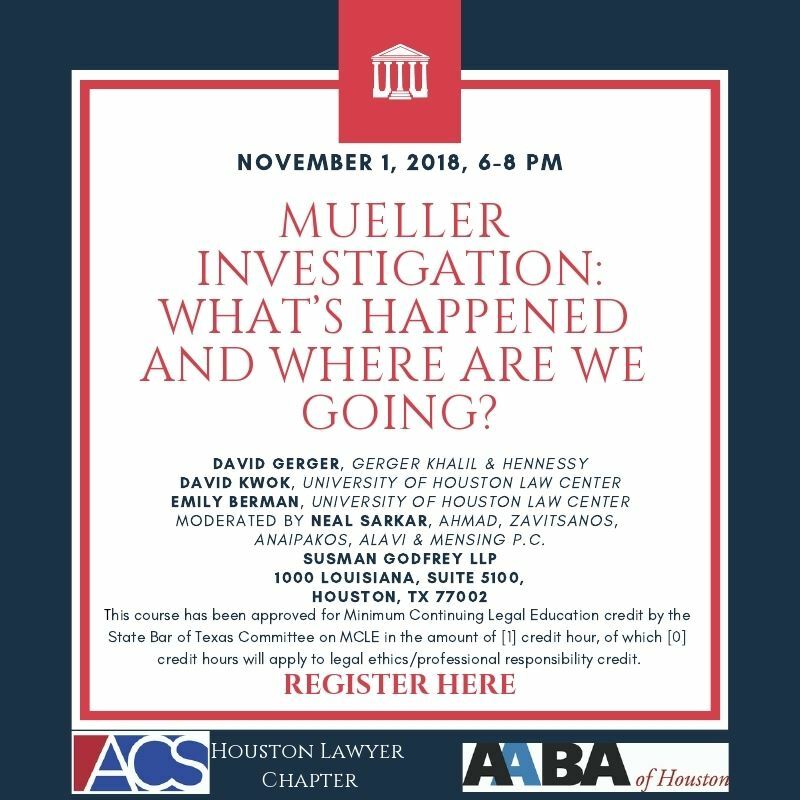 AABA of Houston - ACS Houston: Mueller Investigation: What’s Happened and Where Are We Going? ACS Houston: Mueller Investigation: What’s Happened and Where Are We Going? Sponsored by the Houston ACS Lawyer Chapter and the Asian American Bar Association of Houston. Between news reports and op-eds about the Special Counsel Investigation into possible Russian efforts to interfere with the 2016 Presidential Election, there are many important implications on constitutional law and white-collar criminal law. Moderated by Neal Sarkar, Ahmad, Zavitsanos, Anaipakos, Alavi & Mensing P.C. Wine will be served (on a first come, first served basis).